Public Health England (PHE) is calling for adults across the country to take a free, online Heart Age Test, which will provide an immediate estimation of their ‘heart age’. Professor Jamie Waterall, National Lead for cardiovascular disease at PHE said: “Millions are at risk of cardiovascular disease but don’t know it, putting themselves at real risk of suffering ill-health or dying younger. Knowing your heart age is a simple way of finding out whether you’re at risk of a heart attack or stroke. By making important lifestyle changes you can reduce your risk before it’s too late. Dr. Matt Kearney, national clinical director for cardiovascular disease prevention, at NHS England, said: “The heart age test is a simple and effective online device with the potential to help millions of people. As part of the campaign, Amazon and Omron – the UK’s leading blood pressure monitor manufacturer – are working with Public Health England to launch a roadshow called ‘Treasure Your Heart’ to engage more people in the idea of knowing their heart age and blood pressure. Amazon’s Treasure Truck will arrive in London and Manchester for 2 days to support the campaign and Omron’s nurses and technicians will be testing the blood pressure of as many people as possible. The events will be in London and Manchester on Tuesday 4 and Wednesday 5 September. Slimming World is also supporting the campaign to raise awareness of how losing weight can help to improve heart health and reduce the risk of cardiovascular disease and is offering an exclusive discount for new members who take the Heart Age Test. PHE’s Heart Age campaign will run until 30 September. 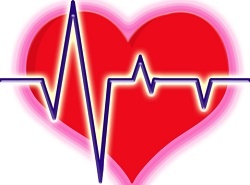 Adults are encouraged to search ‘heart age’ to take the free online test.